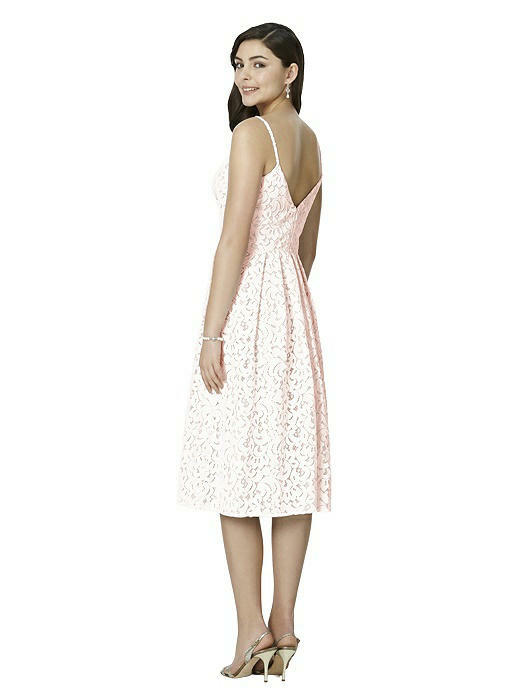 Beautiful and sophisticated, the flattering cocktail length of this Gabriella lace dress is a stunning look. The slightly open V-back adds dimension above a pleated skirt. 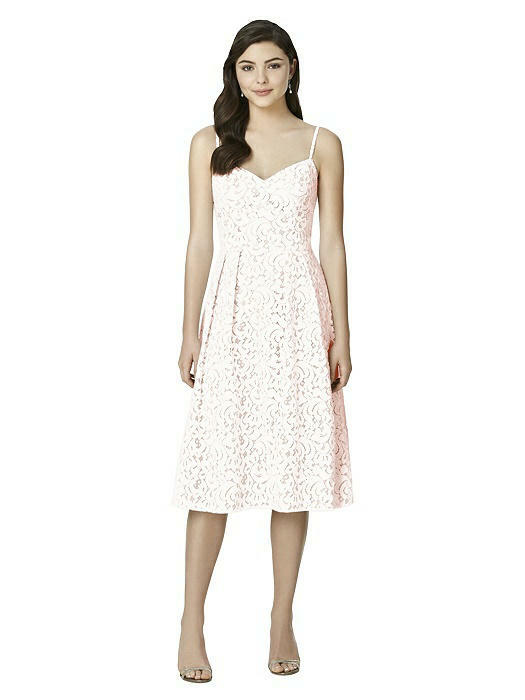 Customizable colored matte lining lays underneath with blush or ivory lace.